Jack Sparrow would never say, “Why is the rum always gone?” in my house. It’s never gone. It is, was, and always shall be present in glorious abundance with a decadent variety. While not always seen, its presence is known, silently calling: come, baptize your soul with my spirits. As a rum aficionado, I have tasted many types of rum on my travels through the Caribbean, and unfortunately did not discover this awesome stuff until I was home in Arizona reading a travel magazine. St. Nicholas Abbey in Barbados produces this 10 year-old rum. St. Nicholas Abbey is known as one of the Seven Wonders of Barbados. 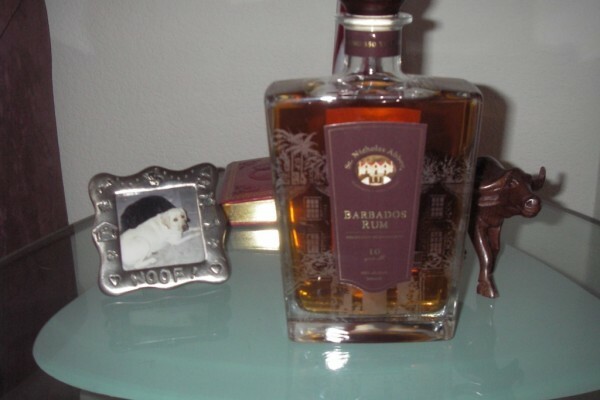 This fine sipping rum is ONLY available from St. Nicholas Abbey in Barbados or The Whiskey Exchange in London. Trust me, I e-mailed Larry at St. Nicholas Abbey to confirm. It will cost you around £102 but it is worth every golden drop. The good news is that every time you are in Barbados, you can bring the empty bottle to St. Nicholas Abbey and they will refill it for only $70 (a perfect excuse to move to Barbados). The rum has a smooth taste of almond, caramel, and wood (from aging in used bourbon barrels). There are also hints of vanilla and pineapple. The website Refined Vices has a detailed review and tasting notes for this awesome rum. Give it a try. Cheers!